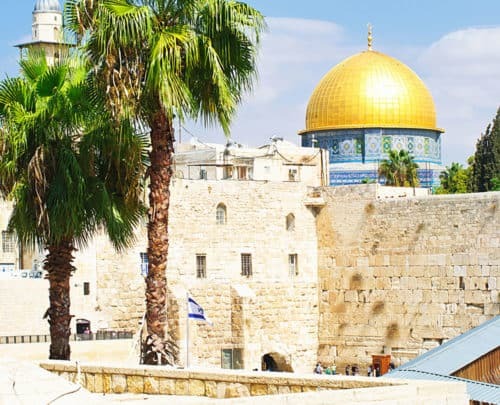 If you’re considering visiting Israel, the Old City of Jerusalem is probably at the top of your list of places to visit. For many, visiting this holy city is an incredible spiritual experience. Others enjoy the stunning sights, sounds and smells of a three-thousand year old Middle Eastern city. Either way, it can be overwhelming! Let me help you out, then. 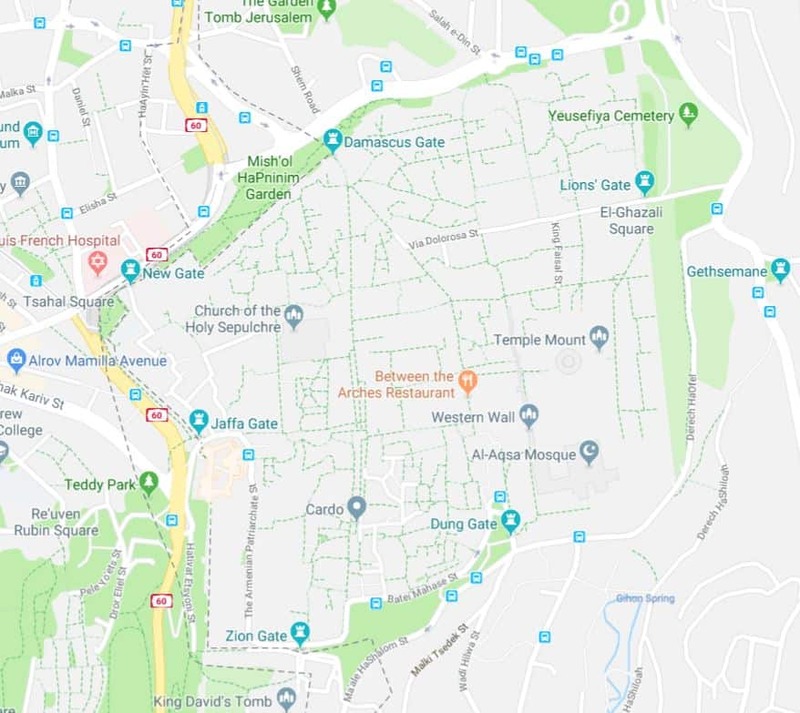 Being a local (I grew up in Jerusalem!) this guide combines a lot of research as well as personal experience. I’m going to tell you everything that you need to know in order to have a great visit to the Old City of Jerusalem. I’ll start by explaining what visiting Jerusalem’s Old City is like and show you why it’s actually a very safe place to visit. Next, I’ll quickly review of the essential parts of the city: The Walls, the Gates and the four quarters – including top things to see in each. Living in Israel means we’re fortunate enough to visit one of the most unique and magical places on earth. A place that billions around the globe consider holy and dream of visiting someday. Visiting the Old City of Jerusalem is an intense experience, whether you arrive on a pilgrim or as a curious traveler. I’m happy to be able to share some of my insights on this place and show you how to make the most of your trip. 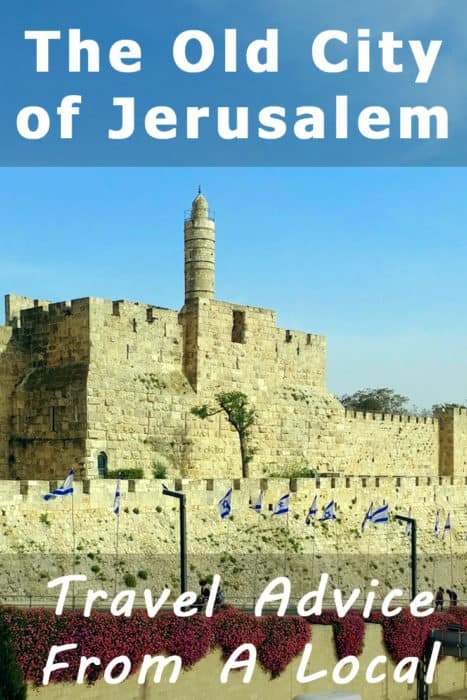 We’ve been to Jerusalem last month and saw all three places (and a few more) in a single day, so if that’s all the time you have to spend in Jerusalem, you can follow in our footsteps and include all three in your itinerary. For me, visiting the Old City of Jerusalem is first and foremost about the atmosphere. The sounds, the sights, and even the smells – it’s all so inherently different. And I say that as an Israeli. The Old City is nothing like the rest of the country. The only place I can think of that’s a little bit like the Old City of Jerusalem is the Old City of Akko but even then, Jerusalem is more intense. The Old City of Jerusalem is all about faith and religion. Walking along the narrow cobbled alleys, you’ll see people of the cloth everywhere. Jews, Christians, and Muslims. 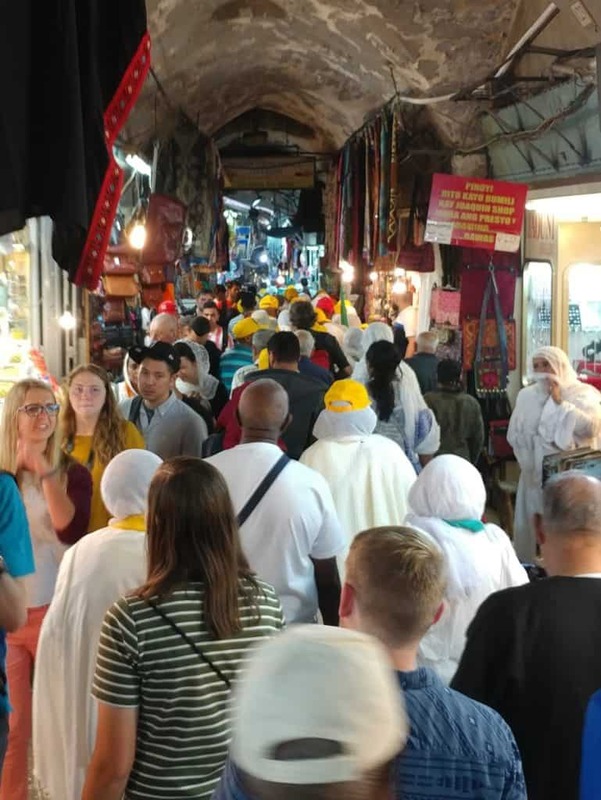 Nuns, priests, rabbis, and imams from all over the world come to Jerusalem, as do huge groups of pilgrims of all faiths. If you’re religious – of any of the three monotheistic religions – prepare to be emotionally moved. If you’re not, prepare to be amazed by how intense the experience around you is. And it’s also a bit like traveling back in time. Walking through these alleys with all the merchants reminds me of Terry Pratchett’s Ankh-Morpork. Not smelly or dangerous but definitely crowded and exotic. 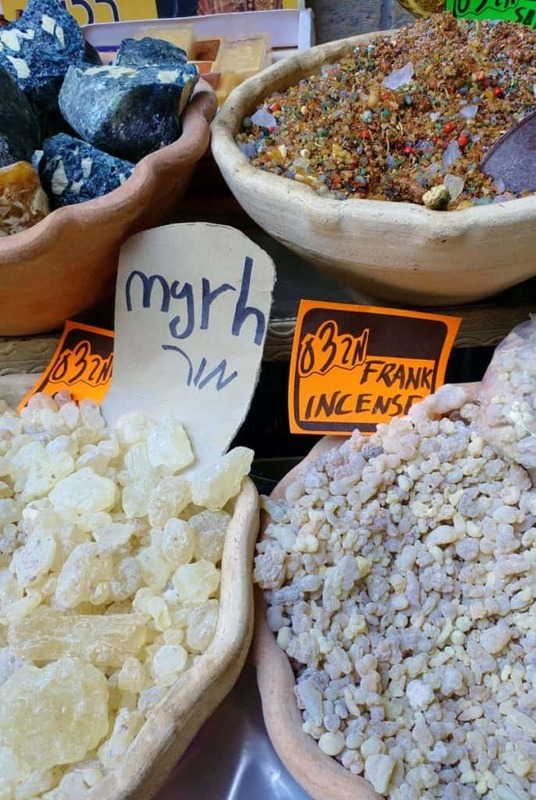 Myrrh or frankincense, anyone? 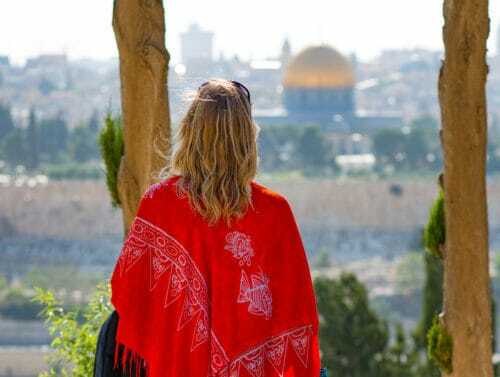 Is Jerusalem a safe place to visit? What it is also is tense. 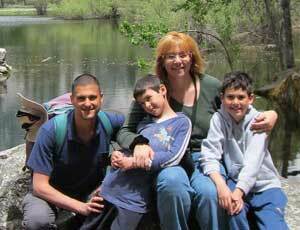 You will be walking in a place that’s literally the heart of the Israeli-Palestinian conflict. There are no two ways about it. 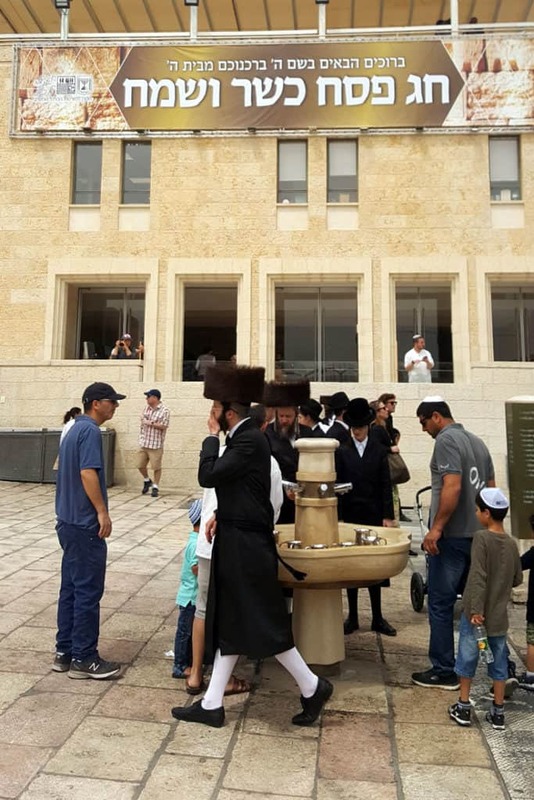 Many Israelis feel somewhat uncomfortable going there, myself included. Not unsafe, just uncomfortable. What does that mean for you as a tourist? You will see fully armed police and military all over the place. In some areas more than others. That’s about it. If you live or travel in the US, Canada or Australia, you may find this, well, odd. However, having traveled in Europe as well, I can tell you it’s no worse than what you see in Rome, London or Paris. These soldiers and police officers are there for everyone’s protection. I don’t find them to be scary at all. In fact, they’re generally far more relaxed and friendly than their European counterparts. And like the rest of Israel, Jerusalem is much safer than your average big city in the US or Europe. In terms of crime, you have very little to worry about. Sure, be sensible but don’t fret. Crime rates are low, and that includes pickpocketing. I worry about my belongings when we travel to Paris, Berlin or New York City. Not so much when in Jerusalem or Tel Aviv. As I said, this place is the heart of the conflict. It’s generally peaceful but sometimes it can go a little crazy. We’re talking demonstrations which aren’t always very peaceful. When that happens, the police will shut down some areas. I don’t recall a tourist being harmed on these occasions, ever. If you’re thinking of visiting, you can check your embassy’s website prior to arrival to see if any special warnings are in effect. Or you could just catch the local news. Some dates are best avoided. If you can, steer clear of holidays of the three major religions. It’s generally safe but locals and the police are on edge. Things will be more crowded and tenser. Not impossible to visit Jerusalem during these times but if you want to enjoy the city in peace and can opt for other dates, I would. The holy days of the week should also be taken into consideration. That’s Friday for Muslims, Friday/Saturday for Jews, and Sundays for Christians. Not so much a matter of safety though. It just means places of worship are more likely to be open only for services. That said, it also means you have a higher attendance of people from a certain religion inside the Old City on that day. If there’s something “sensitive” going on, in terms of the conflict, the risk of demonstrations is higher. In the end, the local police know all of this and will shut down areas accordingly. Which means the most you have to worry about is that you’re going to miss out on seeing something – not your actual safety. Depending on your interests, you could explore the Old City for days on end. Not because it’s a huge place. It’s not. We’re talking 0.35 sq miles – or just under one square kilometer. That said, the entire place is just a maze of winding narrow ancient streets and alleys so you can spend a long while exploring every nook and cranny. 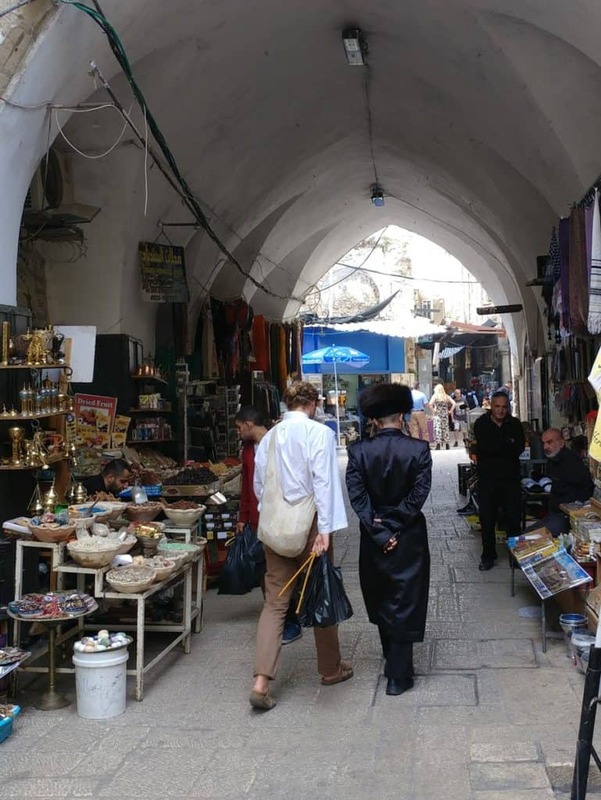 It would take an entire book – probably more than one – to talk about everything there is to see in the Old City. Instead, I’m going to cover the basics. Let’s talk about the walls, the gates and the four quarters. I’ll give you a quick list of important sights within each quarter. 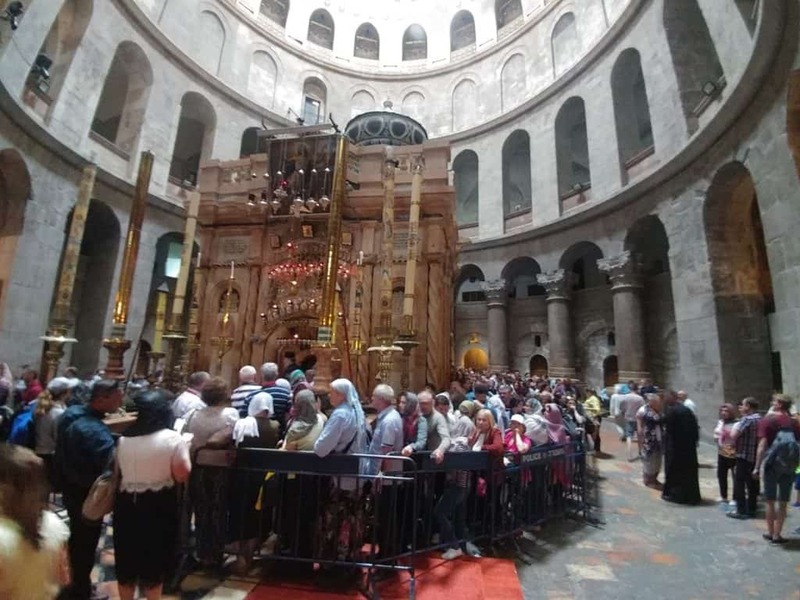 Next, we’ll talk about the three places that are considered the most important in the Old City: The Church of the Holy Sepulchre, The Dome of the Rock and the Wailing Wall. During approximately 587/86 BCE, a siege led by Nebuchadnezzar of Babylon destroyed the entire city that is now Jerusalem. Later, under the rule of the Ottoman Empire, Sultan Suleiman I ordered the walls to be rebuilt. Built in only four years, the wall measures roughly 4,000 meters, with an average height of 12 meters. The wall has 8 main gates, 34 watchtowers, and many sacred and significant landmarks. The walls are still signature landmarks in their own right and you can hike along many of the sections for unique views of both the old and new city around it. Here’s a quick review of each of the gates. The Zion Gate gives direct access to the Jewish and Armenian areas. The Tomb of King David, located on Mount Zion, is very close. 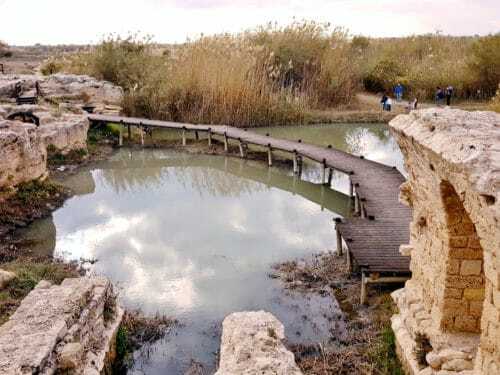 This gate, which leads to the Southern Wall Archaeological Park and the Western Wall, got its name from the refuse that was deposited there long ago, and winds would carry the odors away. The gate is also mentioned in Nehemiah 2:13. The most well-known gate, it is integral to the Temple-Mount Wall. Also known as the Eastern Gate or Golden Gate, the gate itself has been unopened for centuries. Scripture says that the gate will have a miraculous opening when the Messiah comes. This gate is named after the pair of lion carvings that flank it on either side. While the carvings are actually tigers or the symbol of the Sultan Baybars from the 13th century, it is also called St. Stephen’s Gate. The gate gained notoriety after the Six Day War and leads to Via Dolorosa, markets, and the Pools of Bethesda. In Hebrew and Arabic, this gate is called the Flowers Gate, and the north-facing portal is near a cemetery. A rosette is carved over the entrance, and a similar word in Arabic means “awakened,” which is believed for the hope of resurrection for the dead. This north-facing 16th-century gate is the main thoroughfare, with markets located just inside, and was named for the city of the same name. Archaeologists have uncovered a portion of the entryway built in the second century CE built by Emperor Hadrian. The only gate not part of the original 16th-century walls and design, this gate was made during the end of the Ottoman Empire to allow pilgrims faster access to the holy places within the ramparts. The original destination for Christian and Jewish pilgrims coming from the port of the same name, this gate leads to the Christian and Jewish quarters. 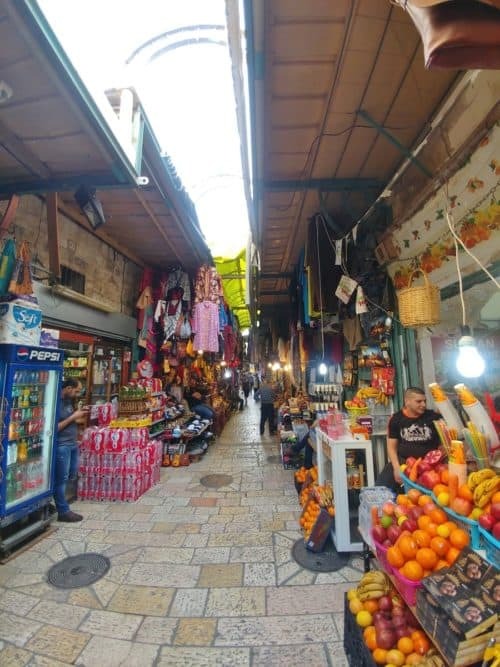 Additionally, this gate provides ease of access to the museum known as the Tower of David (or The Citadel), as well as the most popular parts of the market. The Old City of Jerusalem is divided into four quarters, which divide the city historically, religiously, and culturally. These quarters are the Muslim, Jewish, Armenian, and Christian quarters. With Jaffa Gate being the closest entrance, the Christian Quarter is home to the Church of St. John The Baptist. 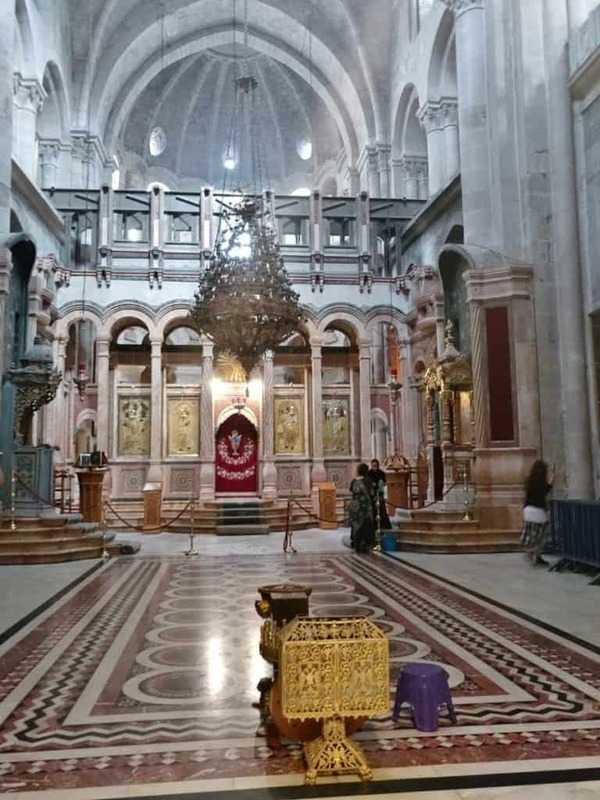 The Church of the Sepulcher, where it is believed Jesus was crucified and buried is on Saint Helena street (more on that church in a minute!). 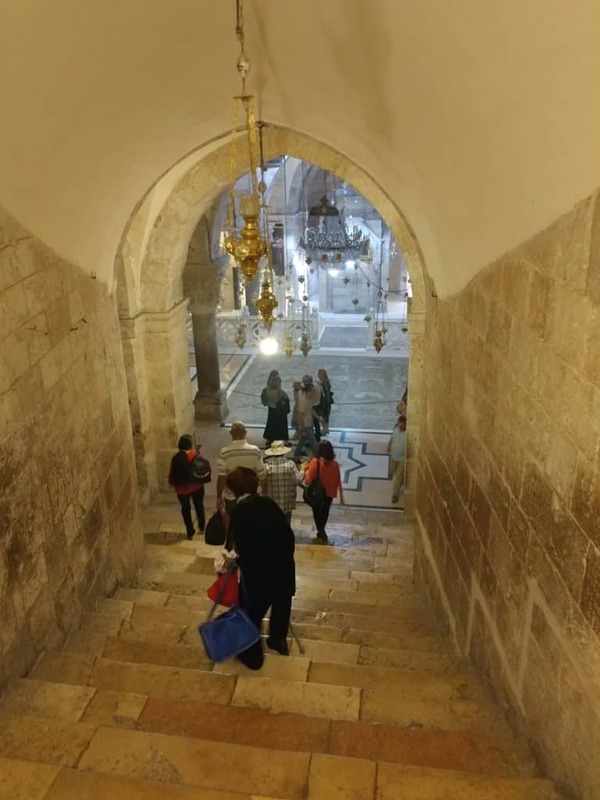 Christians can follow in the footsteps of Jesus and walk along the Via Dolorosa (part of which is in the Muslim Quarter). Many do just that, carrying a huge cross on their shoulders. The route is only 600 meters/yards long, winding along the narrow streets from the Antonia Fortress to the Church of the Holy Sepulchre where Christ was crucified and buried (I’ll cover this church in depth soon). There are 19 stations along the route, five of which are inside the church itself. The smallest of the four quarters, the Armenian Quarter runs itself like a city within a city, and has a more historic and ancient feel to it. The Citadel, (or the Tower of David) is located here, as well as an Armenian Museum and St. James Cathedral. 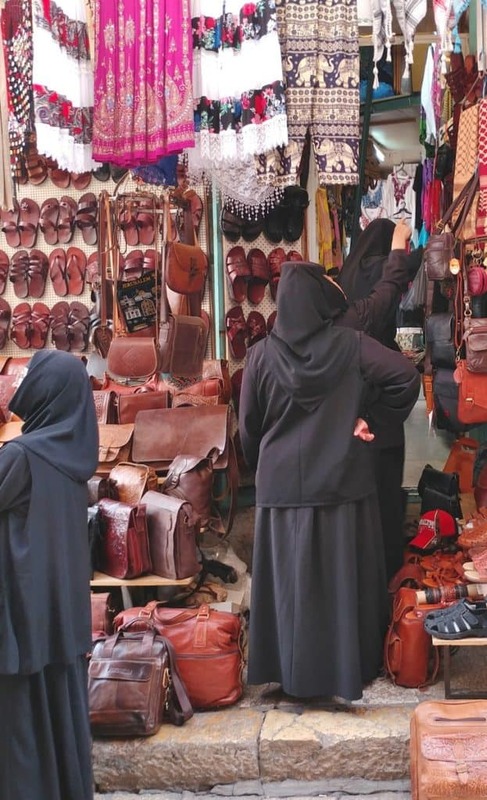 There is a busy atmosphere in the streets and markets of the Muslim Quarter. 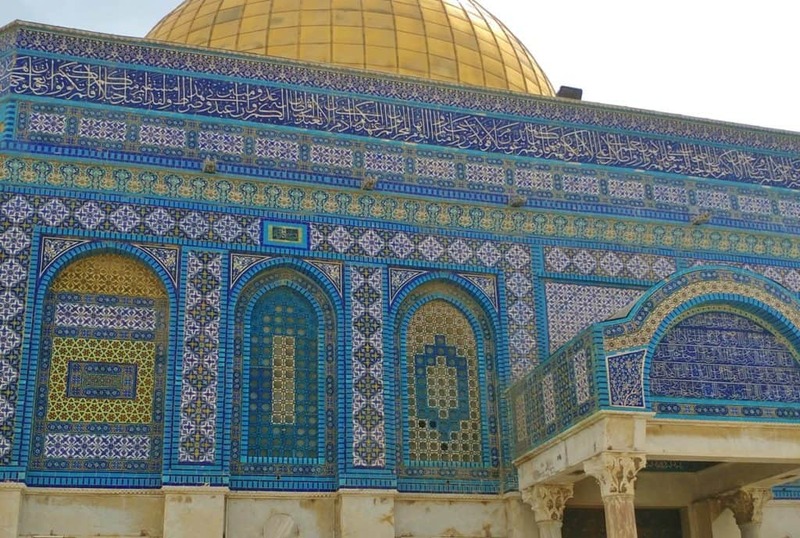 The Dome of Rock – part of the Noble Sanctuary – is home to the sacred Foundation Stone. 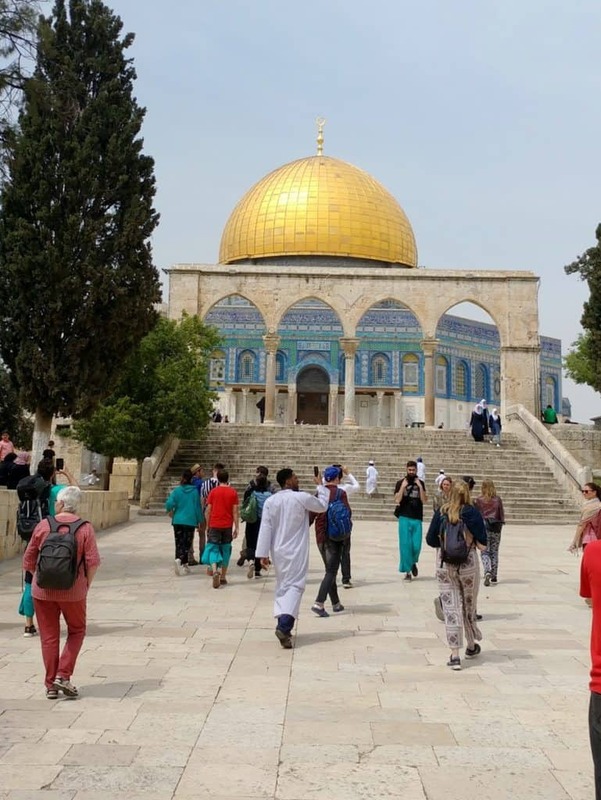 We’ll talk more about visiting the Dome of the Rock later in the post. The Jewish Quarter has a more modern feel to it – as much as that word can be used in the context of a three-thousand years old city. The streets are renovated with new Jerusalem stone and are generally more quiet and clean. This is where you’ll find the Western Wall, as well as several synagogues. 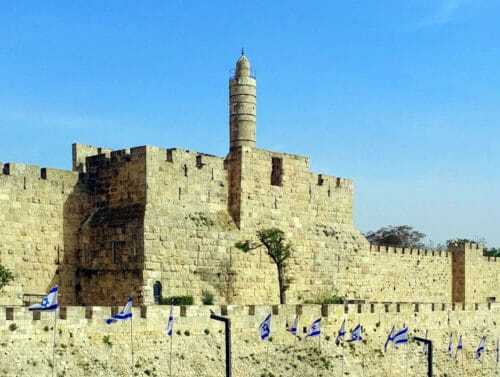 The Tower of David – Try to catch the evening light show! The lists above are very partial. 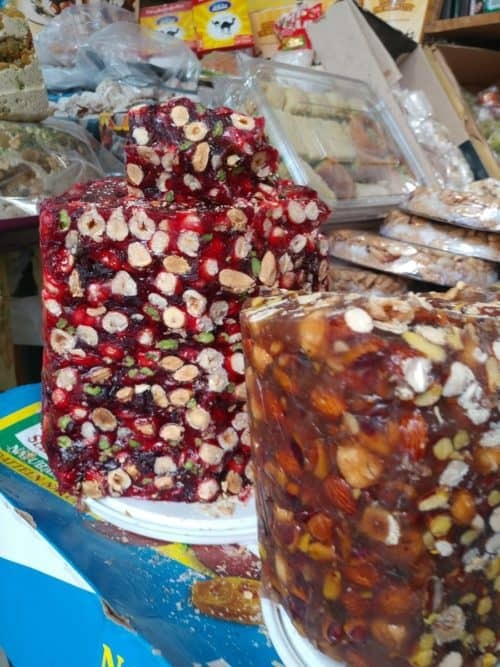 And once you factor in just strolling around, tasting and smelling and finding weird shops in the dark markets, you really could spend a long while here. Of course, Jerusalem doesn’t end here. There’s a lot to do and see all over the city – new and old. 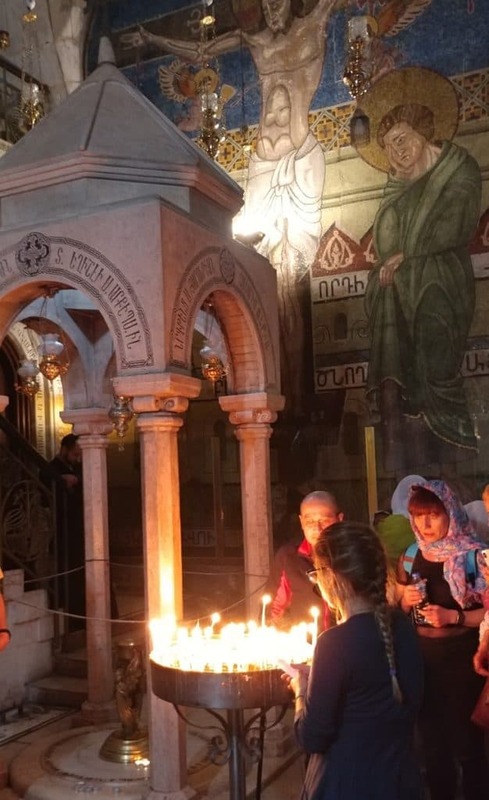 With this post being about the Old City, I want to elaborate about the three most important locations for Jews, Muslims and Christians respectively. Considered the holiest of sites for the Jewish people, this is actually the support wall for the Temple Mount on the western side. King Herod build this wall during the expansion of the Second Temple during 20 BCE. Then in 70 CE, the Romans destroyed the temple but left the wall intact. In 1967, after the Six Day War, Israeli archaeologists dug beneath the wall, exposing two levels of additional walls. 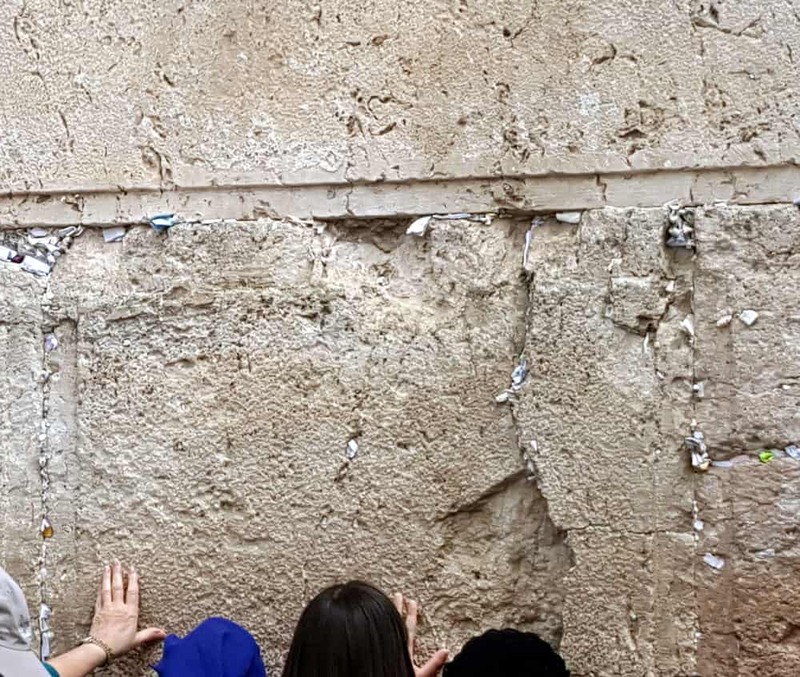 In Hebrew, this place is called Hakotel Hama’aravi, which literally means the Western Wall. It’s also known as simply Hakotel, or “The Wall”. No local Pink Floyd associations because there’s a different word in Hebrew for their variety of the wall. You can arrive from different directions but either way, you’ll have to go through the security check at the gates. It’s an efficient process that shouldn’t take more than 5-10 minutes even on a busy day. The lines at the entrance are separate. 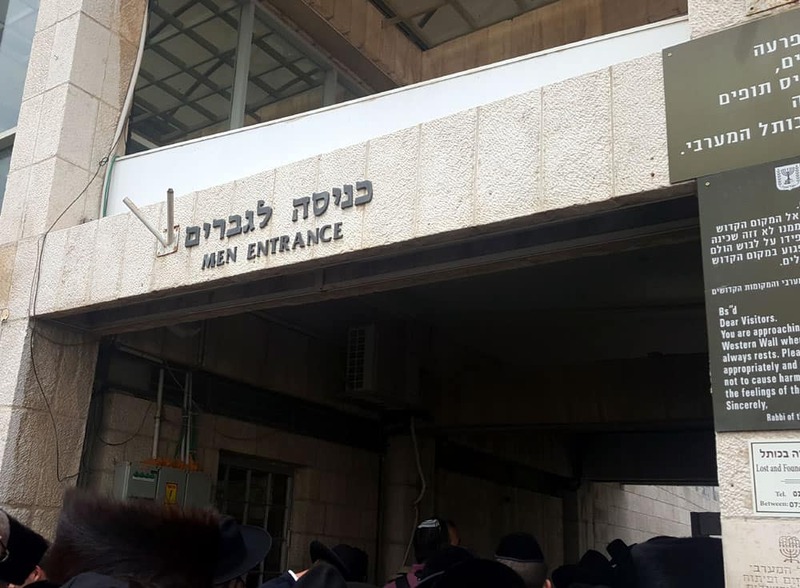 Men go through the left gate and women through the right. 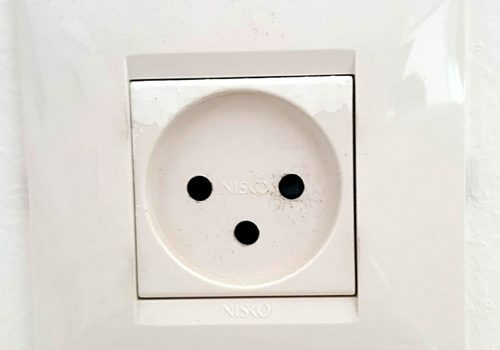 The lines are right next to each other. This is a very middle-eastern type of line. There’s no pushing or shoving per se but if you don’t move forward fast enough, someone will get past you. Again, the whole thing doesn’t take too long so don’t worry about it and just gradually make your way in. It’s a great spot for people watching while standing in line. If you left anything in your spouse’s bag, that’s ok because once past the security point, men and women mix again. You can walk in the huge courtyard together but will have to separate again when you want to get close to the Wall. However, with no security checks at those points, you can go back and forth without a problem. Bring paper and pen if you want to add your own note to the wall. You can write it in advance or sit down on one of the plastic chairs and let the inspiration hit you. There’s no food to be purchased in the courtyard but there are water fountains for the traditional hand washing ritual. These are drinking water so you can fill up your bottle if you wish to. There are stands where you can donate to charity but you absolutely do not have to. The visit is free for all and shouldn’t cost you anything. 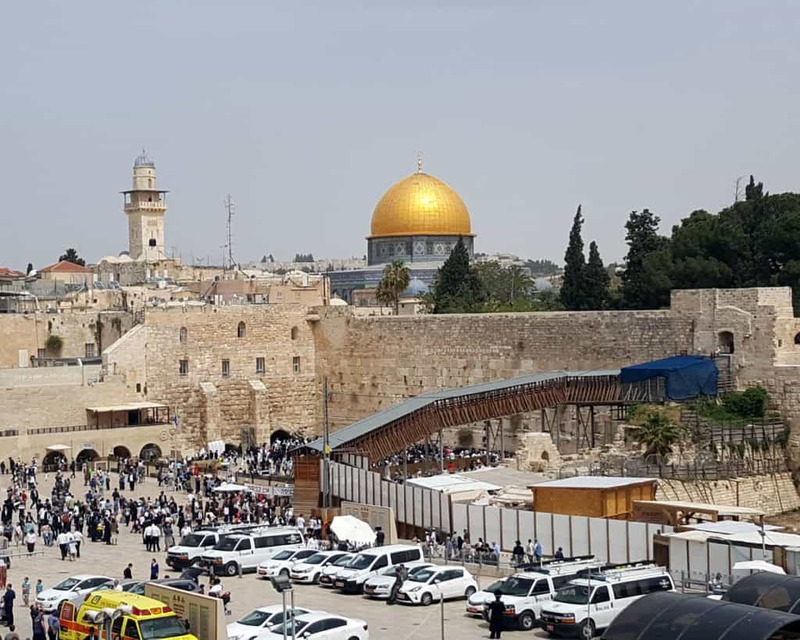 From the Western Wall, you can continue to visit the Dome of the Rock. The two are extremely close and the lines for the security checks are right next to one another. 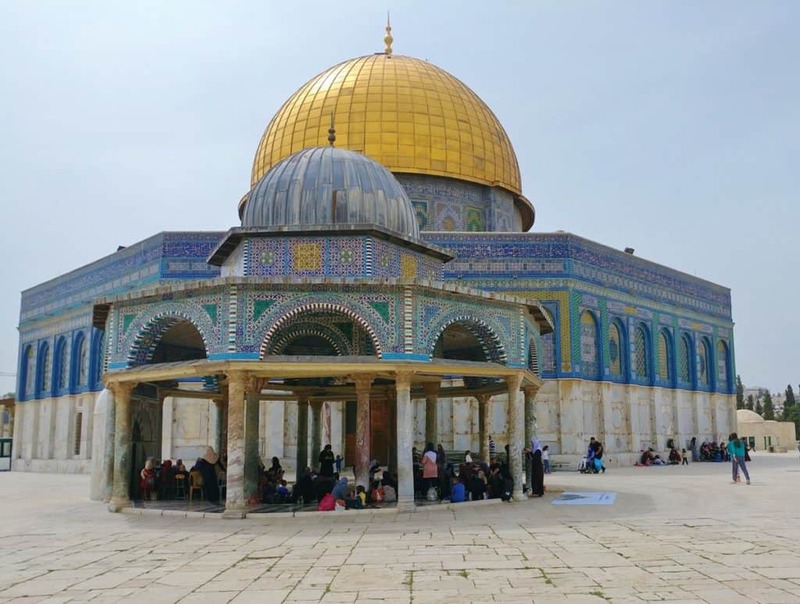 Considered the crowning glory of the Temple Mount, the Dome of the Rock is an impressive monument to Muslims, as it is a shrine built over a sacred stone. The sacred stone is believed to be the location that the Prophet Muhammad took his journey into Heaven. The sacred rock has been holy before the arrival of Islam to the Old City. Religious Jews believe that Abraham prepared to sacrifice Isaac there at the sacred rock under the Dome. The sites of the Holy of Holies, both Herod’s Temple and Solomon’s Temple, are believed to be under the Dome. And yes, it’s a problem. I mentioned how the Old City is the heart of the conflict? This point is the centre of the heart, or the heart of the center of the conflict. You will see TONS of security here watching out for extremists from both sides who could literally ignite WW3 if left unchecked. 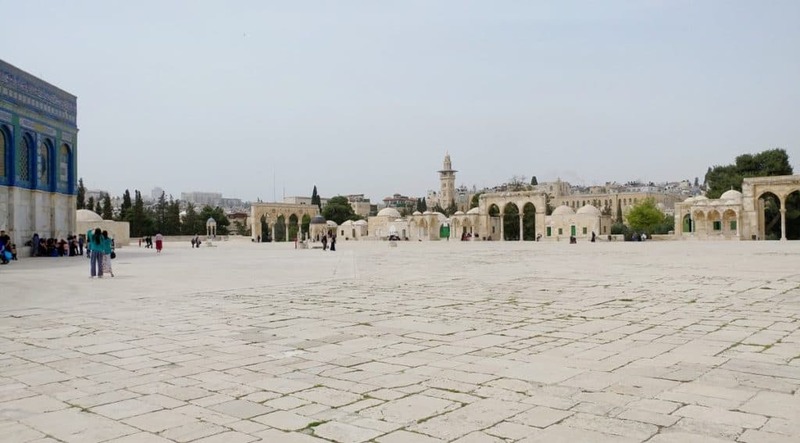 The entire compound is known as Haram Al Sharif. 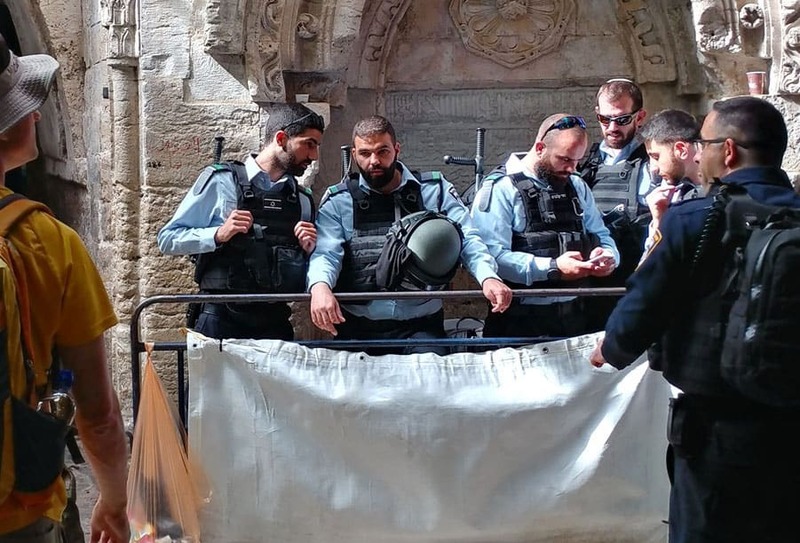 Although part of Jerusalem – so under Israeli sovereignty – local Palestinian men of the cloth run the place. Within it, you’ll find the gorgeous Dome of the Rock and also the mosque of Al Aqsa. Built with mathematical rhythm, the Dome’s proportions and dimensions are circular, and relate to the center circle that encompasses the sacred stone. The outer walls, dome’s height, and the dome’s diameter are all 67 feet long. Topped by an illustration of a full moon, if you look through the moon you would be looking towards the Mecca. The lower portion of the exterior is white marble, with a stunning display of mostly blue tiles. If you’re Muslim, you’ll be able to visit inside both structures which are said to be beautiful on the inside too. However, if you’re not, you can only enter during the limited visiting hours and you won’t be allowed inside the structures. Dress codes here are pretty strict. 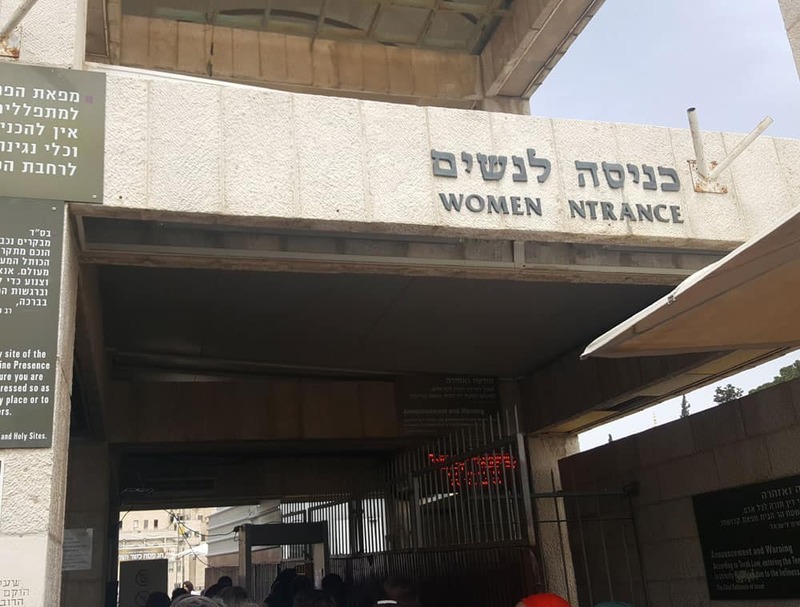 This is the only place in Israel that I’ve seen where both men and women are asked to cover their knees and elbows. Head cover is not required though. When we visited in late April 2018, we were wearing t-shirts with some of us wearing bermuda shorts. That wasn’t good enough and we were asked to add more garments. They offered their own long-sleeve green shirts for those of us who didn’t bring extra clothing items. Inside the compound, I noticed some visitors got very creative in covering their knees! Once inside, it’s a large open space surrounded by its own walls. 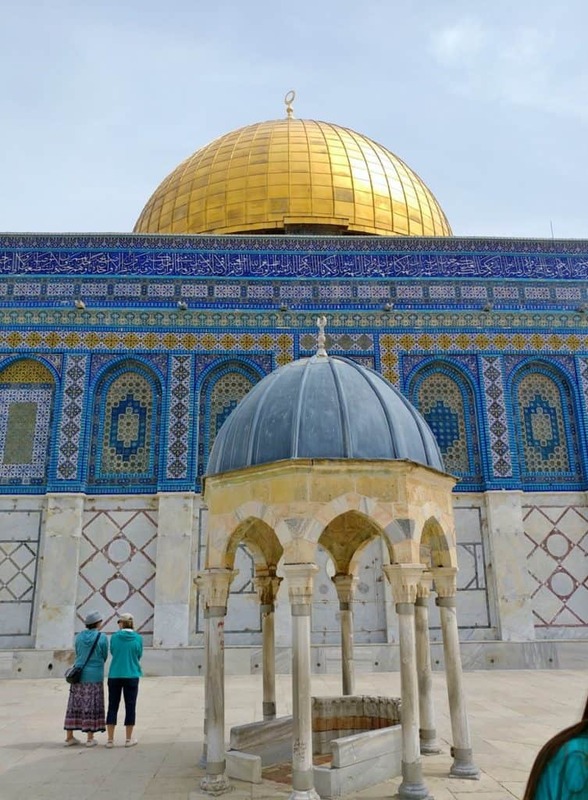 The most impressive building is the Dome of the Rock, which you can walk around. 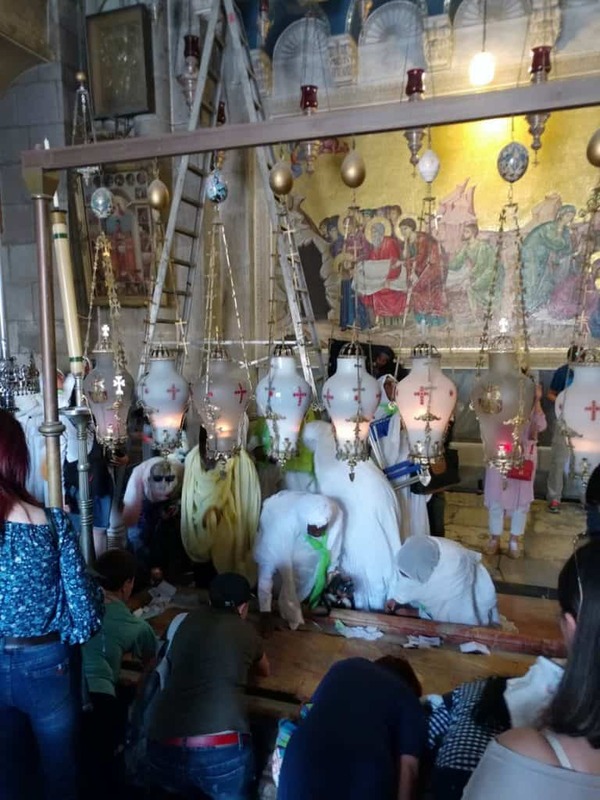 Both the place of crucifixion and the tomb of Jesus of Nazareth, the Church of the Holy Sepulchre is a major pilgrimage site for Christians from all around the world. In the New Testament, the crucifixion of Jesus took place at Golgotha (Matt. 2:33-35; Mark 15:22-25; John 19:17-24) which was an abandoned stone quarry outside the city walls at the time. A decade post-crucifixion, the third wall was built to enclose the execution area. In 326, Constantine’s mother Saint Helena went on a pilgrimage to Jerusalem, and legend says she discovered the cross of Jesus, or the True Cross, during that time. The Persian army demolished the Church in 614 and took the True Cross, but it was returned in 631 thanks to the negotiations of Heraclius, a Byzantine emperor. 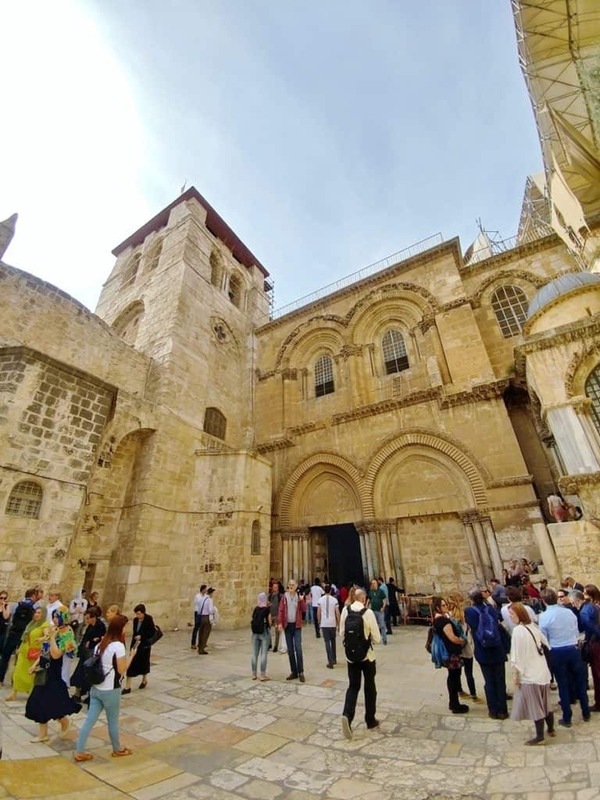 In the 12th century, the Holy Sepulchre church was the spiritual focus of the Christian faith. Though many buildings have been torn down and rebuilt on the site, the Church remains one of the most sacred landmarks in the Old City. The place is co-managed by several Christian denominations, with historic conflicts over who gets control over what going back for hundreds of years. Take a guided tour or read up about the place before you come. Once you’re at the church, there are few signs to tell you what it is you’re looking for. There are no lines to get inside and – surprisingly – no security checks. Don’t expect a fancy cathedral. This place dates back to the times before they knew what a cathedral was. It can be very crowded inside, so take your time. You’ll be surrounded by passionate pilgrims, each focused on their own private climax of the religious experience of a lifetime. 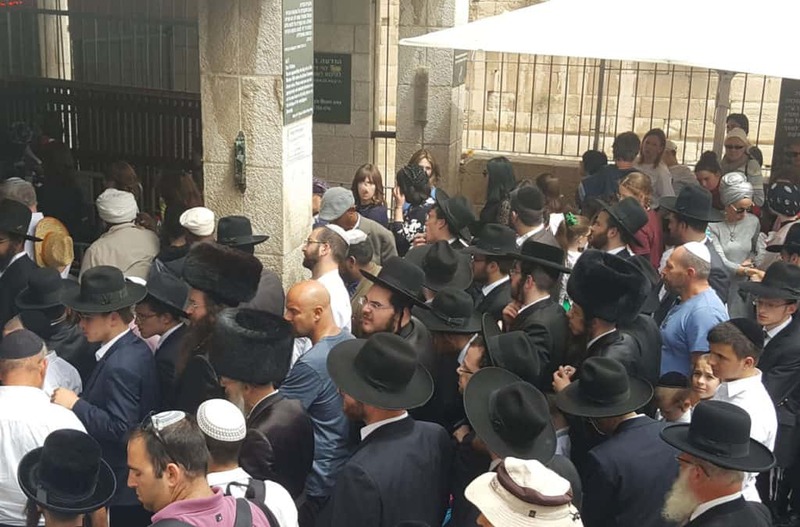 There is a long line to get inside and see the tomb of Jesus itself. Spend time and explore the place. Like some Christian Tardis, I think it’s bigger on the inside. There’s halls and passages, staircases going up and down. And most of these are surprisingly empty, compared to the mayhem around the tomb itself. 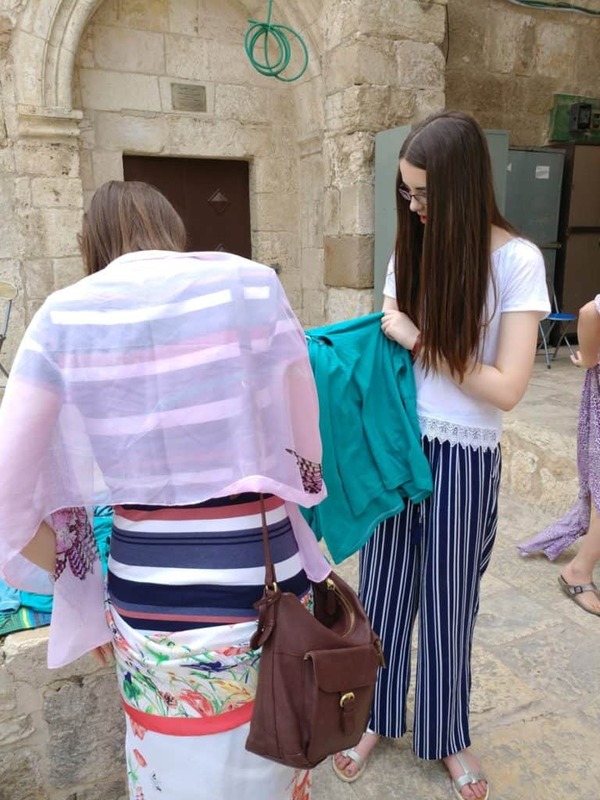 What to wear when visiting Jerusalem? 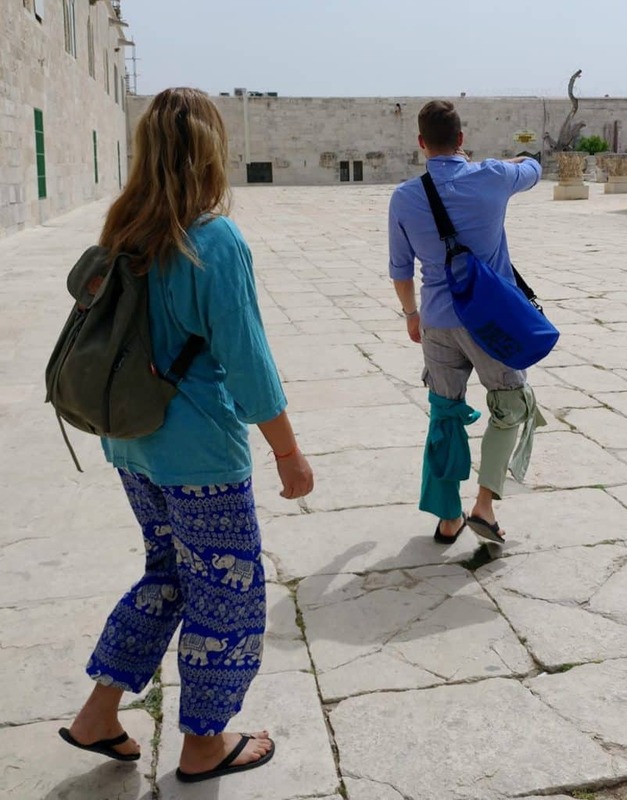 If you’re visiting Israel, check out my post about what to wear in Israel. It pretty much covers everything you need to know. As long as you have your knees and elbows covered, you’re, well, covered! I would advise wearing longish pants or skirt – anything that covers your knees – for both men and women. 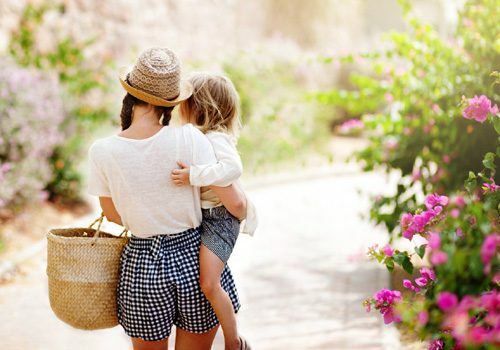 You can absolutely wear short sleeves and even no sleeves as you walk around but do carry a shawl or pashmina along with you, in case you’re asked to cover your elbows as well. I think it’s clear by now that you can absolutely spend several days exploring the Old City of Jerusalem. Especially if you have a special interest in one or more of the main religions and/or in history and archeology. You don’t have to stay within the walls to have direct access to these places, though you can if you want to. When searching for accommodation keep in mind that you won’t find any tall modern buildings in the Old City which means the larger hotels are outside the walls. Inside the Old City, there are several small boutique hotels and hostels though. If you want to stay right on the spot and still at a hotel. There are a couple of places right next to the Jaffa gate. Check out the New Imperial Hotel for a great location – right between the Christian and the Armenian quarters – and great looking rooms with traditional Jerusalem stone walls. Between the Muslim and Christian quarters, you can find the Hashimi Hotel. Looking for less service and more privacy? Legatia offers three studio apartments where you can make yourself at home in the Jewish quarter. If you’re traveling on a budget – as many of the pilgrims are – there’s a selection of hostels where you’ll share a bathroom and/or a room with others. Try the Hebron Youth Hostel or the Chain Gate Hostel. Or you could decide to stay outside the walls of the Old City where you’ll usually find less expensive and/or higher quality accommodation. The Sweet Inn in Mamilla offers luxury apartments located just a couple minutes of walking time from Jaffa Gate. 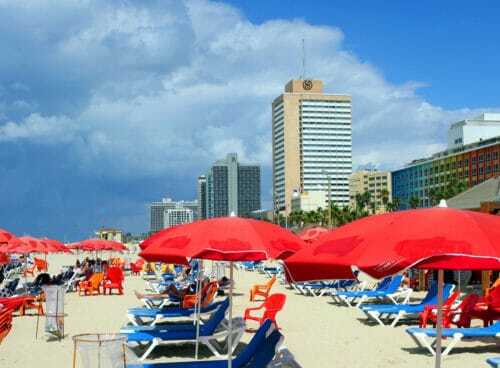 The Zion Hotel and the Malka Hotel offer more affordable options in the same area. If you really want to save, and don’t mind a brisk 10 minute walk, the Abraham hostel is a very popular choice among young travelers. 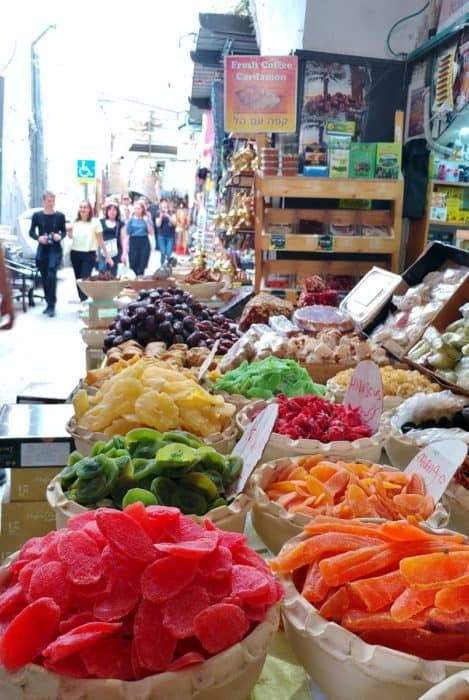 If you can add more days to your itinerary, you can use any of the above hotels as the starting point for exploring other places in Jerusalem. There’s plenty to see and do, including walks, museums, markets and more. Jerusalem can also be your start point for a trip to the Dead Sea. You can go to the Dead Sea and back in the same day, or stay the night near the beaches. For seeing other parts of the country, you should probably leave the capital and spend a few days in the regions of your choice. Tiberias is a good location for visiting the Galilee. 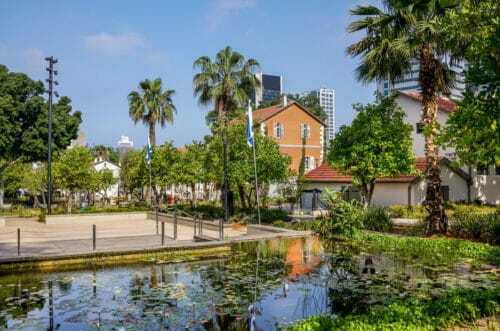 Haifa is great for the Carmel and northern beaches of the Mediterranean. The Negev desert is well worth exploring, especially during the cooler days of winter, and you could even go all the way south to see the Red Sea in Eilat. 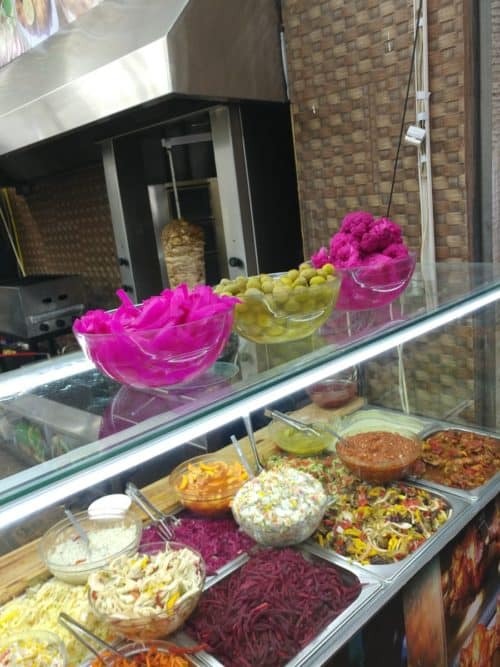 And of course, there’s always easy-going, liberal fun Tel Aviv – the complete opposite of Jerusalem. 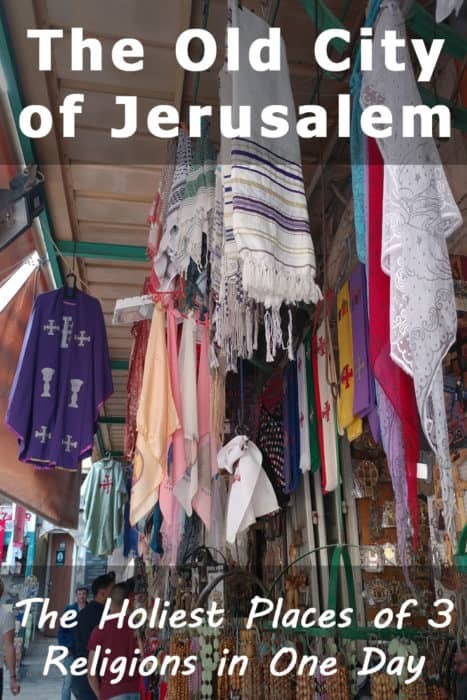 I hope this post helps you make the most of your visit to the Old City of Jerusalem. If you have any questions please do leave me a comment. I try to answer as soon as I can and if I don’t know the answer myself, I’ll ask around. After all, there’s nothing quite like advice from the locals! Also, if you’ve visited any of the places mentioned here, I’d love to hear from you! Leave me a comment and let me know what your visit was like. Finally, if you can, please help me share this post via social media so I can help others too. And here are a couple of additional images that you can add to Pinterest – or just enjoy! I found this posting very interesting as I am travelling to Israel/ Jerusalem next month for the 1st time. 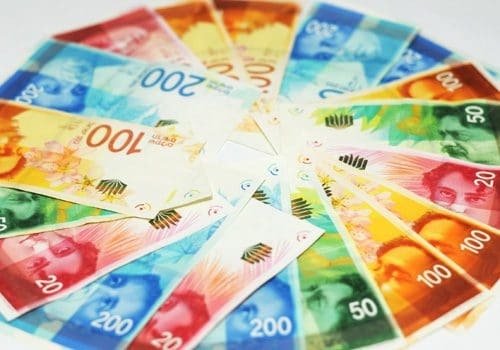 Is it true that you do not need local currency, that US$ is accepted everywhere? No, that’s not true at all. I can’t think of a single store that will take American money here. 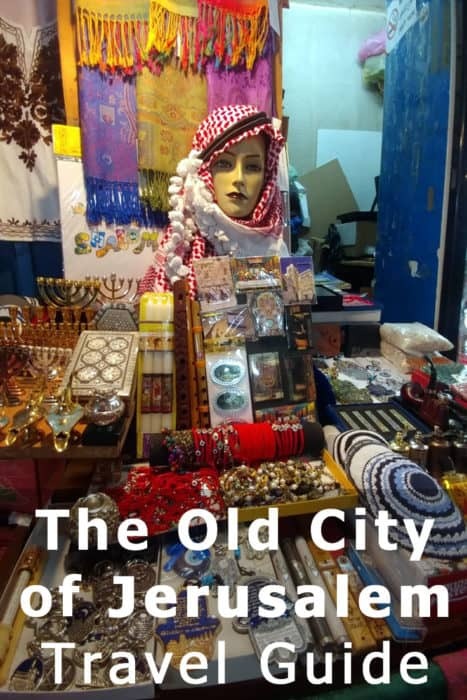 Maybe – just maybe – some souvenir shops in the Old City. 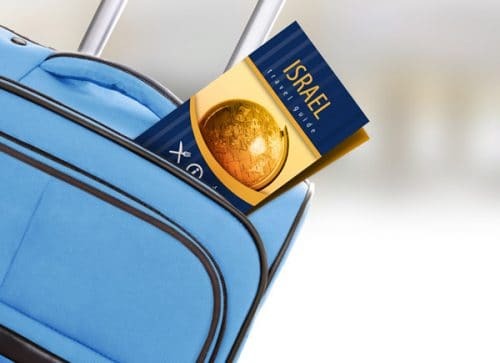 If you have an international credit card, that would work too (just make sure your bank knows you’re traveling to Israel so they won’t block your card after the first transaction). You can also get cash with your credit card at any ATM. I would avoid foreign exchange points and just rely on ATM’s for cash. You can find them in Google maps, plenty of them around. Enjoy your trip! 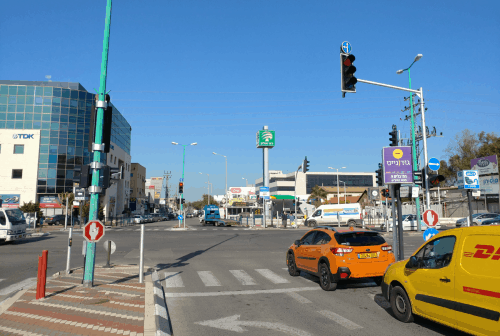 Next PostShould You Rent a Car When Visiting Israel?